Assemble at Changi International Airport for a pleasant flight to Taoyuan (Taipei). Upon arrival, meet and greet by our local representative. 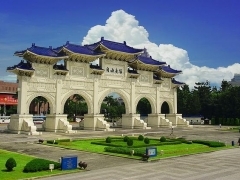 Enjoy a relaxing drive to taichung. Visit the Taiwan's largest Street Market - FengJia Night Market, which is located next to Feng Chia University. Always packed with fun snacks and cool shops. Rise and shine, a day of endless fun awaits at Alishan National Park, a pair of comfortable walking shoes required for this day. Alishan sightseeing will see the famous Sisters Ponds, Sacred Tree, Three Brothers Cypress Tree and Shoujhen Temple. Continue to meet our host at LongYun Leisure Farm. The organic vegetable and fruit farm promises mountain cool air and splendid sunset, in a slow simplistic lifestyle. Afternoon farm tour will see cultivation of organic crops. Visitors can also try to sample some of the real fresh vegetables from the harvest. Be guided and learn the making of Taiwanese mochi. At dusk, gather at the verandah to await and enjoy the spectacular sunset (subject weather conditions). After dinner, walk in the garden to witness the twinkling sparkling fireflies, one's of nature splendid creations (subject to prevailing weather conditions). Enjoy star gazing in the mountainous unpolluted skies (subject to prevailing weather conditions). After breakfast, bid farewell to our friendly farm host. Make our way to the famous Sun Moon Lake. drive around the lake to discover the few attractions such as Wenwu Temple, Ci-en Pagoda and Aborginal Centre. See Lalu Island sitting in the lake. Proceed to Ita Thao Village, an old village of the Thao aboriginal tribe; there is abundance of street food stalls, souvenier shops, restaurants and cafe. This evening, visit Yizhong Night Market where there is abundance of food and merchandise. After breakfast, proceed to Jiufen. It's known for the narrow alleyways of its old town, packed with teahouses, street-food snacks and souvenir shops. The trip to Jiu Fen Old Street is full of delights. There are shops vending the most famous country snack of Jiufen, such as Glutinous Rice Cake, Taro Glutinous Rice Cake, Hongzao Meatball, and cold or hot taro Rice Balls etc. Almost every tourist who comes to Jiufen would taste all those above. Continue to Shifen. Walk across Siguang Suspension Bridge standing above the running stream waters of Siguang Lake. Visit the famous 40 metres tall Shifen Falls, which creates a rainbow when its water splashes into the lake. Continue to PingXi Old Street where abundance of tasty snacks await you. At the PingXi Old Station, stand on the railway track and release a heavenly lantern into the sky. After breakfast, visit Freedom Square. Witness the changing of guards ceremony (subject to prevailling weather conditions). Visit Chiang Kai-shek Memorial Hall, where you can walk up the 89 steps to the bronze statue commemorating the former President of the Republic of China. Continue to Pineapple Tart Factory, learn the art of DIY pineapple tart. Visit Taipei Teahouse, an opportunity to sample various type of locally growth green tea. Simultaneously, participate in a geomancy talk about the legendary "Pixiu". After lunch, visit Yangmingshan National Park, see the fumes rising from the ground at XiaoYouKeng. Continue to Zhuzi Lakeside to see Begonia (May) and Hydrangea (June-July) (Subject prevailling weather conditions). Also see the spectacular Floral Clock. in the evening, stroll through Taoyuan Night Market, a last opportunity for some local delights before returning back to hotel. This night, you can soak and relax at the hotel hotspring. Bid farewell to this beautiful country before transferring to the airport for your flight home. We hope you had an exciting holiday with CS Travel and thank you for your support!